Produced using the finest materials our collection of tables are elegantly designed and well engineered. Combining functionality and style they are ideal for a variety of applications. 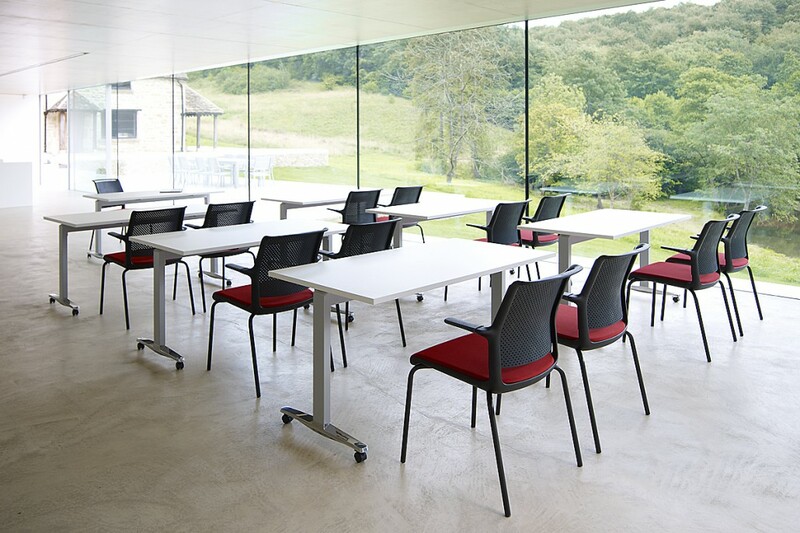 The ideal table for training, meetings, conferences and all rooms which are frequently reconfigured and utilised in a variety of ways. 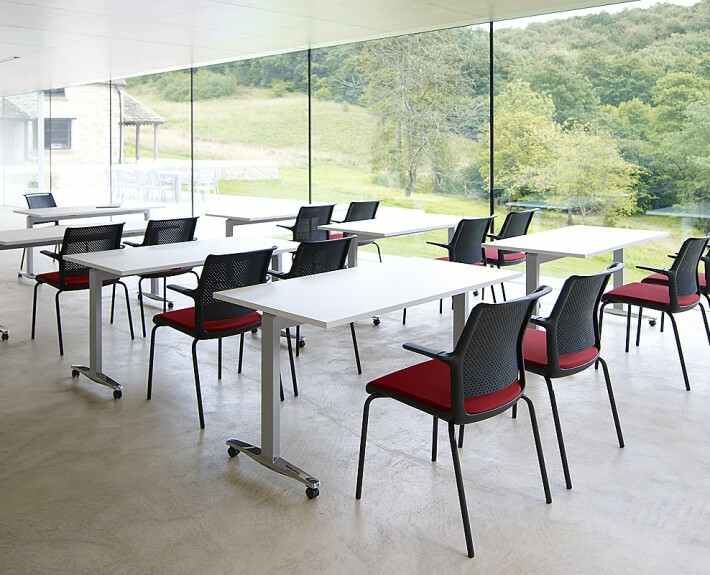 The easily accessible one touch release mechanism allows the table top to be folded away simply. 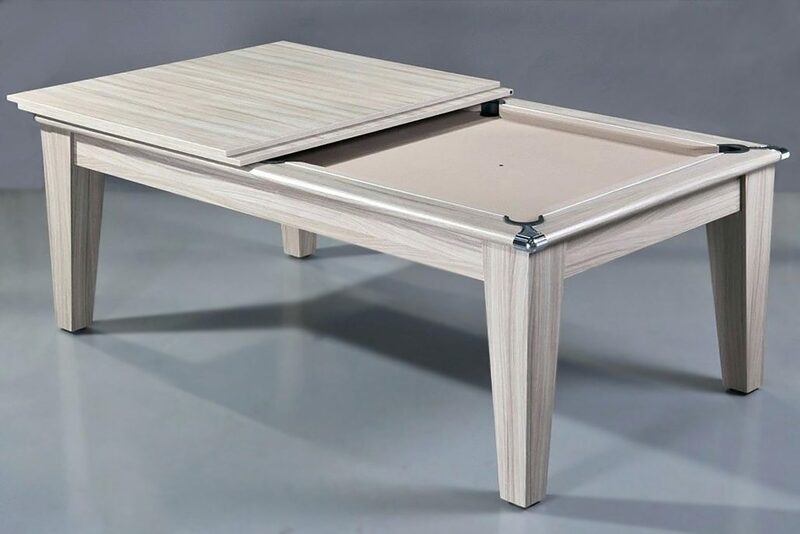 Thanks to the braked castors, tables can be moved, stored and displayed easily. Click here to see how the Kite evolutional table system works! The Kite table system allows everyone to have a good line of sight and sit at a defined straight edge with 750 mm of personal space. Table legs are never an inconvenience, nor is the user writing over a seam or being squashed into a corner. The four sided frame provides greater rigidity and durability than traditional framed centrally supported tables. The patent dual-locking caster limits movement and negates the need for linking devices. 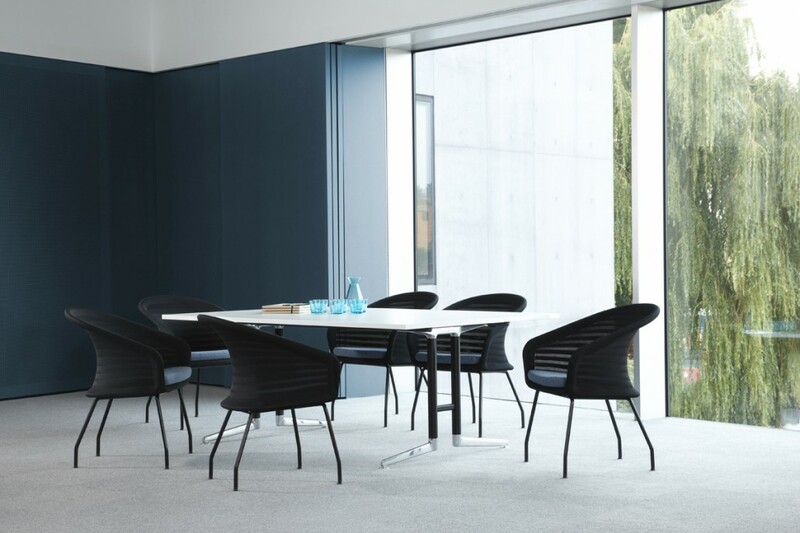 The Ad-Lib table program designed by Pearson Lloyd has been developed principally to work with the Ad-Lib seating range and shares common design values and architecture. Similar goals of lean material usage and sustainability were key to its development as was the desire to develop a truly universal table program with a very small inventory of components. Chameleon is a simple but elegant table system. The uncluttered detailing allows the tables to be used either individually or arranged to suit a wide range of different spacial and functional requirements. 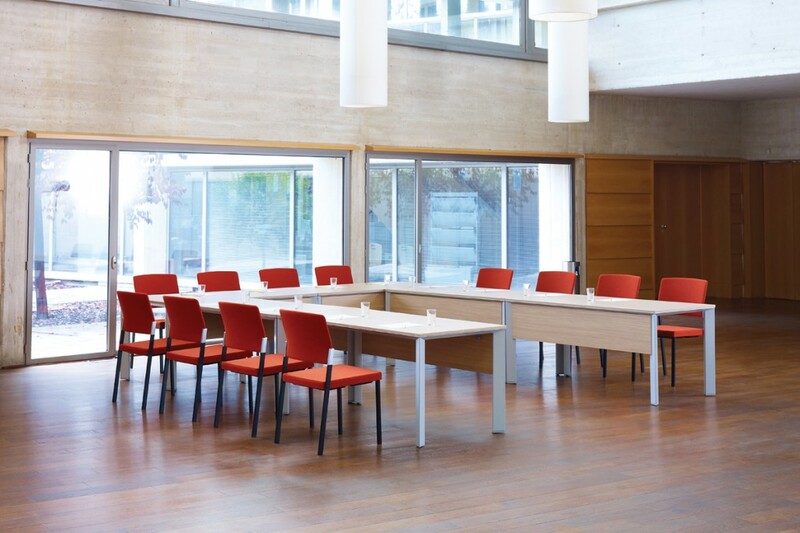 The Axis table system has a unique patented hinge design which allows the table frame to fold within its own length for ease of reconfiguration, storage and transportation. 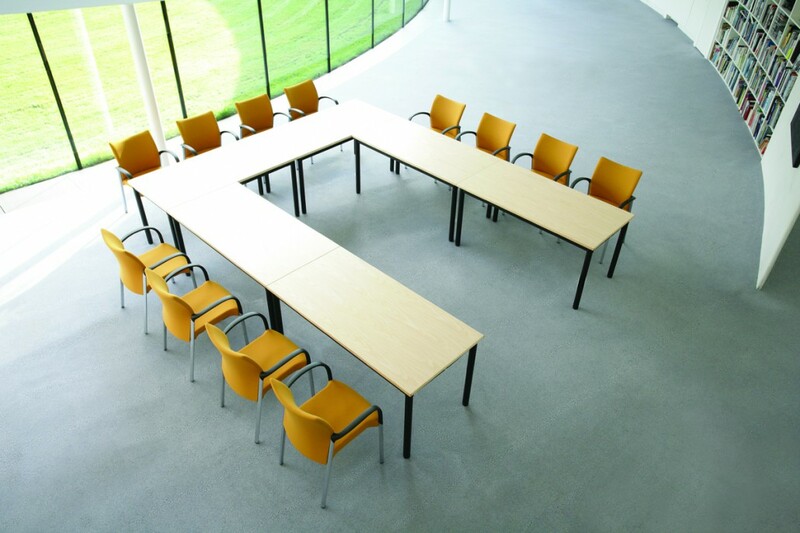 Falcrum offers the most comprehensive range of conference tables on the market. Available in a wide choice of shapes, sizes, styles and finishes and with optional cable management inlays and other custom features. Dual Pool Tables are a versatile and fun addition to your office, perfect for the breakout or meeting room. 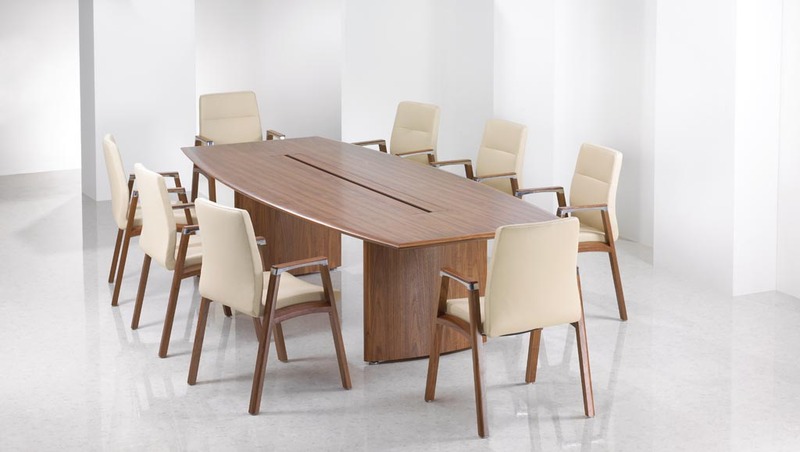 Provided with a sleek, professional table cover, these are functional as a both a pool table and a meeting table.